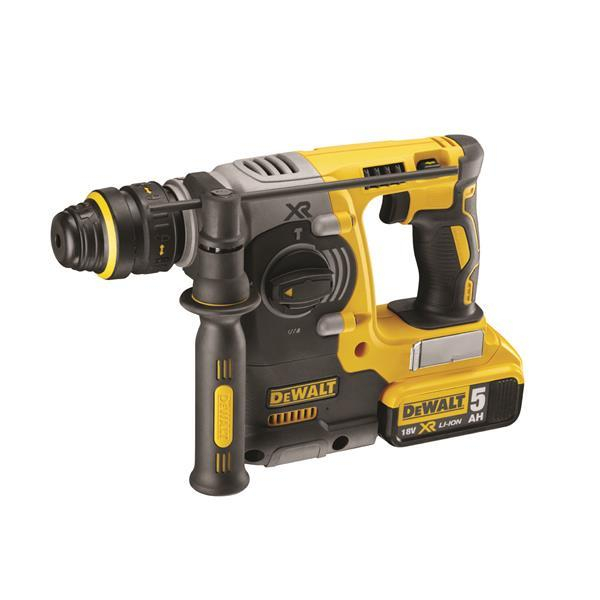 The new DEWALT DCH273P2 18V XR 5AH Brushless SDS Drill has rotation stop mode for light chiselling in plaster, tiles and render and impact stop mode for rotart only drilling in wood and metal. It has a brushless motor with high capacity XR 5.0AH 18V lithium-ion battery platform for extreme runtime and reduced maintenance. Electronic clutch for consistenly high torque and improved durabilty. Best in class vibration at 6.6m/s, minimising user fatique. It has a bright white LED with delay feature to improve visabilty.